We have a wide variety of menus available for your event. 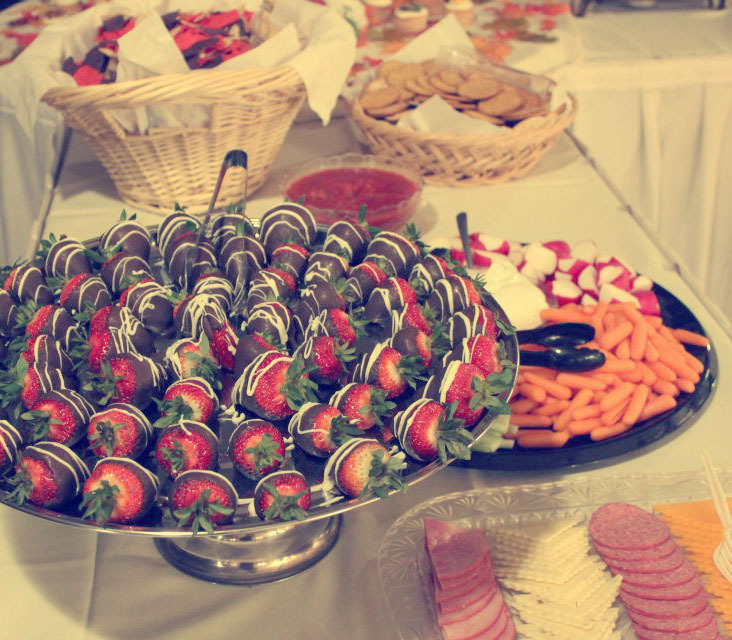 For weddings, we serve the head table family-style and your guests are served buffet-style. All waitress service and the use of the facility is included in the price of the meal. Prices of the menus items vary depending on the number of people served and the menu chosen. Variations of any of the menus can certainly be discussed and will be priced accordingly.